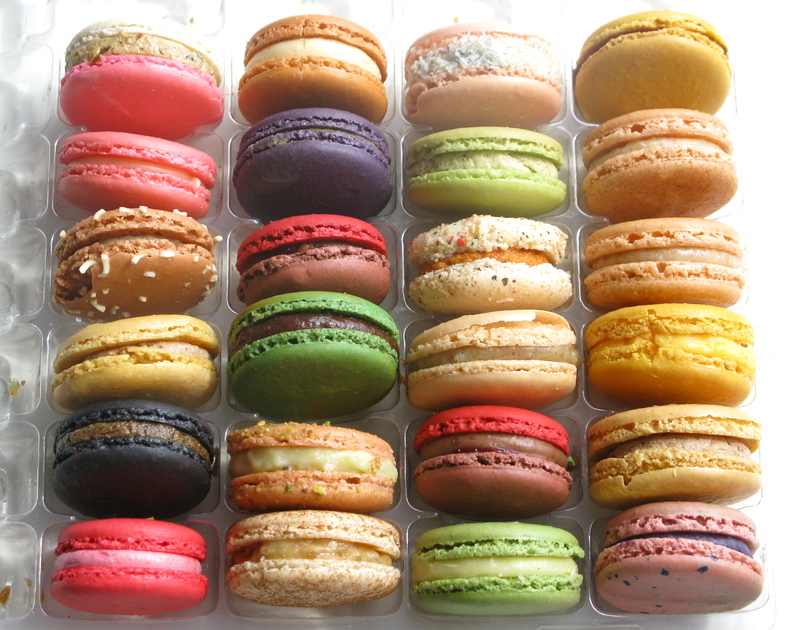 If you’ve ever wondered what $60 of macarons looks like… this is it. 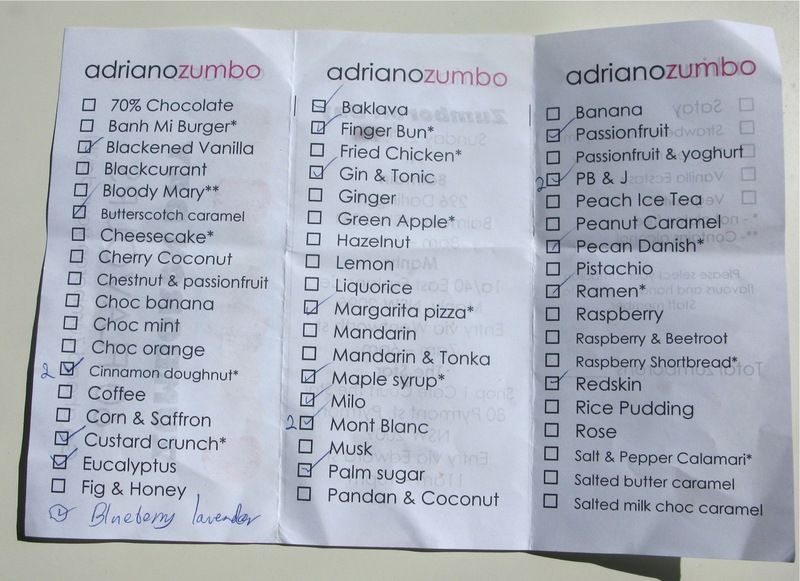 I literally planned to spend $30 max at Zumbo’s “Zumboron Day”, but in the frenzy of flavour-choosing, i went OTT. I’m most excited about trying the baklava, custard crunch, gin & tonic, finger bun, PB & J, rice pudding (they had it last year but it’s amazing), redskin (same story), licorice and margarita pizza. 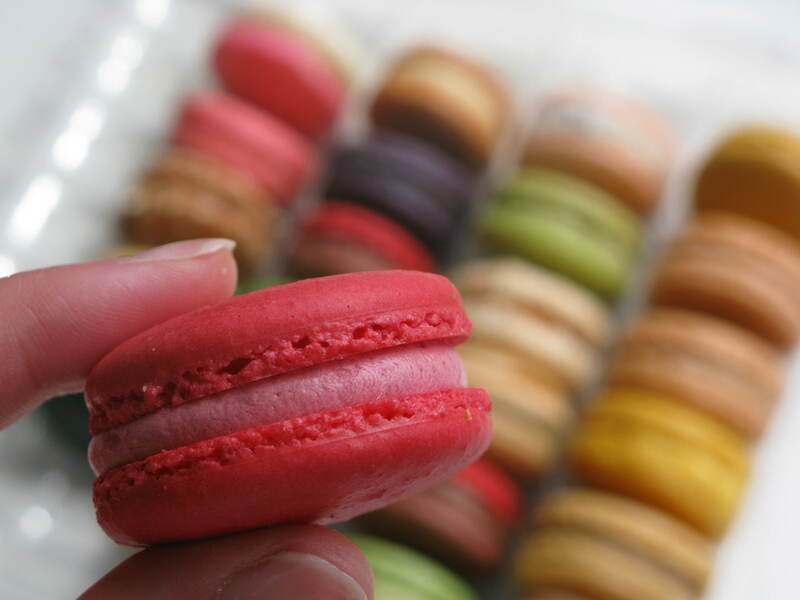 This entry was written by prettyprettyyumyum, posted on November 27, 2011 at 5:07 am, filed under yum yum and tagged adriano zumbo macaron day 2011, balmain, zumboron day. Bookmark the permalink. Follow any comments here with the RSS feed for this post. Post a comment or leave a trackback: Trackback URL. LTL, haha! It was now or never. Can’t wait to hear your post-bite verdicts!! I’ve had 4 so far, I need help! Sara, I haven’t tried the pizza one yet! I’m scared but I’m guessing it will taste a bit like pizza shapes? Veronica, yes I got the ramen one but now I don’t know which one it is so it will be a surprise when I taste it! 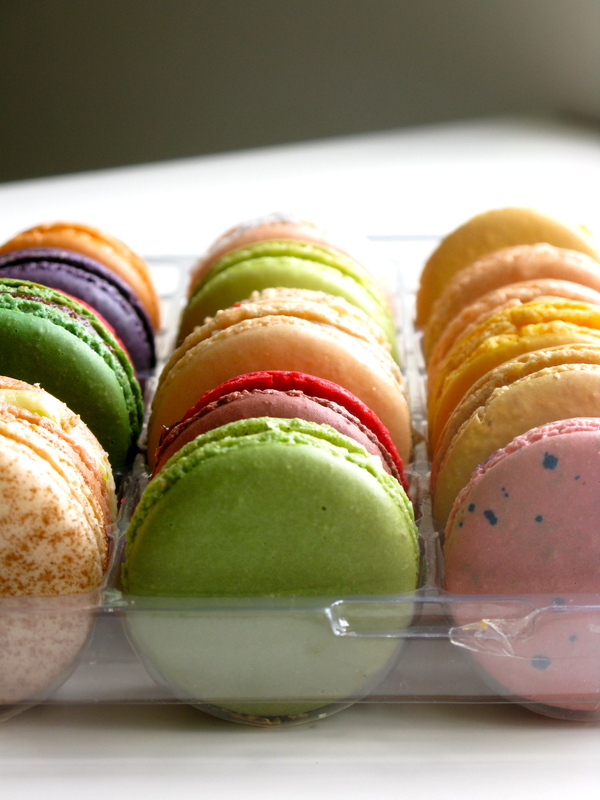 I would go nuts for fried chicken macarons! wish i could be in Sydney for Macaron Day tomorrow! You know, I think I’ll make you the cross. Because I don’t have to waste my time just because you simply don’t want retrofit your site. From now on I’ll make the cross to all your links and to this site. The clarity in your post is just excellent and i can assume you’re an expert on this subject. Well with your permission let me to grab your feed to keep up to date with forthcoming post. Thanks a million and please keep up the enjoyable work. I think the admin of this site is genuinely working hard in support of his website, as here every material is quality based data.